In this method, a number of working days in a week can be reduced. But total working hours remain the same. For example, a job of an employee working 40 hours in 5 days a week working 8 hours a day can be rescheduled as 40 hours in 4 days working 10 hours a day. This helps to reduce administrative cost as well as one day release to the worker. 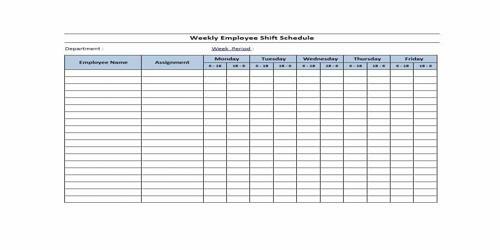 In this method, different working shifts are prepared and employees are given the option to choose to work in their convenient time shift. Hotels, hospitals, telecommunication office, etc. need to operate 24 hours a day. In such organizations work shifts are prepared like morning shift, day shift and night shifts having 8 hours in each shift. Employees are given freedom to chose their convenient shift to work. In this method, a particular full-time job is shared between two or more part-time employees. Full work or job is here, divided into a number of jobs. In this method, employees are not required to come to the organization or workplace for accomplishing their duty. They can complete their tasks at their home or any convenient place as well. Typing writing, painting, etc. jobs can be done in this way. Nowadays, this method is being popular for telecenter jobs. Employees get reward or remuneration on the basis of the volume or unit of work done by them.